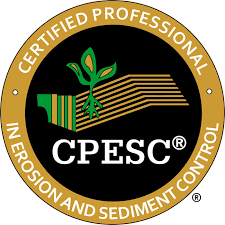 Erosion and Sediment Control Consulting, Plans, Design, and Monitoring Services | All-Terrain Consulting Ltd.
All-Terrain Consulting has CPESC accreditation and is rated one of the Top 5 Erosion & Sediment Control (ESC) consultants in the Metro Vancouver area and B.C. All-Terrain Consulting maintains an excellent working relationship with all municipalities currently implementing an erosion and sediment control bylaw in the Vancouver area: including Surrey, Langley, Abbotsford, Burnaby, Maple Ridge, New Westminster, North Vancouver, West Vancouver, Chilliwack, and Coquitlam. All-Terrain Consulting specializes in erosion and sediment control plans to determine the best, easiest, and cheapest methods of handling site conditions. By modifying erosion and sediment control materials and methodology on site, we can often provide a significant cost savings to the developer. All-Terrain Consulting also provides ESC monitoring and reporting on residential, commercial, and industrial sites. Being highly regarded in the erosion and sediment control field, All-Terrain Consulting helps deliver ESC courses for VOI Environmental Training (previously VIU / Malaspina), as well as having presented at the 2015 IECA Conference in Portland, Oregon, as well as at StormCon 2011 in Anaheim, California, and at the 2009 ESC Conference in Delta, B.C. for the Pacific Northwest Chapter of the International Erosion Control Association.